Welcome to Issue #13 of Off-by-none. We’re coming to you LIVE from AWS re:Invent in Las Vegas! Last week we looked at some clever use cases for Step Functions, revisited serverless microservices, and made the serverless case for startups. This week we rethink serverless+RDBMS, challenge the objections of laggards, protect ourselves from DoS and other attacks, and of course, look at some new AWS product launches. So many amazing things to get to today, so let’s jump right in! And… it sort of is (for now). In Aurora Serverless Data API: A First Look, I share the results of a few experiments I ran as well as some of my initial thoughts on the implementation. TLDR; The latency is really bad and this isn’t ready for primetime. But like all things AWS, it’ll get much better before GA.
Serverless, Inc. is wrapping up #NoServerNovember with the re:Invent serverless virtual hackathon. Build a serverless app for a non-profit, feel good about yourself, and win some swag. If you want to get a bit more complex, try building a chat application using AWS AppSync and Serverless. Are you writing your code in Python? AWS SAM CLI just introduced the sam build Command that lets you easily package all your dependencies. 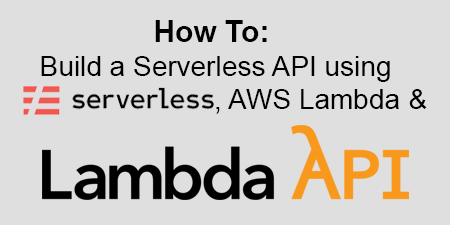 Or you can learn How To Package External Code In AWS Lambda Using the Serverless Framework. 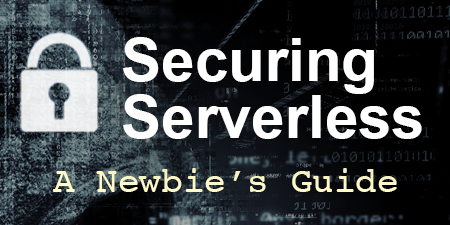 James Beswick outlines five common objections to adopting serverless in his new post, Scared Serverless — How do you handle opposition from your IT group? Lots of ammunition in here if you find yourself needing to defend your (very wise) decision. If they’re still not convinced, maybe this Twitter thread will help. Simon Wardley says, “The overwhelming output of most businesses is waste. Serverless is way larger than you think. More significant than cloud was.” It’s definitely worth the read (plus there’s maps). Avi Shulman from PureSec wrote a great post on Lambda DoS Mitigation Strategies. See how different invocation types and retry policies can be leveraged by attackers to wreak havoc on your serverless applications. Lots of practical tips in here including a number of best practices and tips to minimize your exposure. Want to add even more security to your serverless app? Amazon API Gateway has added support for AWS WAF, which means no more creating regional endpoints and using your own CloudFront distribution. It still won’t prevent event injection, but it’s a good start. And just when you think that npm audit will protect you from third-party package vulnerabilities, we discover another widely used open source software that contained a bitcoin-stealing backdoor. Luckily it only has 2 million weekly downloads. 🤦🏻‍♂️ A friendly reminder to minimize dependencies in your serverless applications. Want to run the same virtualization technology used by AWS Lambda and Fargate? Well, apparently now you can with AWS’s open-sourced Firecracker project. No more VPNs, SSH tunnels, or phpMyAdmin setups to run queries on your Aurora Serverless clusters. It’s still in beta, so look for more improvements. Scalable hosting for static web applications with serverless backends. AWS’s new continuous deployment and hosting service plugs into your code repository and will build and deploy your front and back end on every commit. It will even automate feature branch builds for testing. I knew there was a reason for increasing Lambda executions to 15 minutes. New batch operations in S3 allows you to trigger custom Lambda functions on billions of documents. Ajay Nair is rightfully excited about it. No more guessing with Standard, One Zone, or Glacier storage classes. New S3 Intelligent Tiering automatically decides how to store your objects based on access patterns. This should result in huge cost savings. Transfer files to S3 using SFTP without building your own Frankenstein. I’m glad AWS finally came around to providing “legacy” support for “long-established data processing and partner integration workflows.” I’m hoping for a managed VPN service next. This week’s star is Chris Munns (@chrismunns). 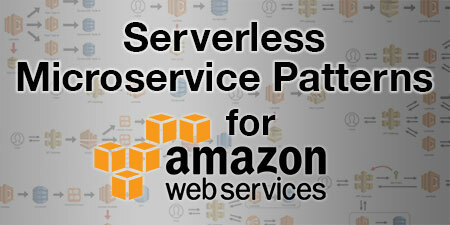 Chris is a Principal Developer Advocate for Serverless at Amazon Web Services and a great resource for anyone working with (or interested in) serverless. He’s a regular speaker at events, an AWS blog contributor, a host on Serverless Bytes, and he also puts on the occasional webinar. Even though he works for AWS, he’s a huge advocate for serverless computing in general and will always jump into a good debate on Twitter. This week he’s not only giving a number of talks at re:Invent, but also finding some time to spend with members of the serverless community. The buzz around serverless at re:Invent is absolutely amazing. Every session I’ve attended so far has been bursting with people that are either already using it in production, or are hoping to start. I know we are in a bit of bubble here, but it’s clear that AWS is continuing to make massive investments in serverless technologies and wants to continue to be the market leader. Exciting times ahead. I hope you’ve enjoyed this issue of Off-by-none. Your feedback and suggestions are always welcome and much appreciated. It helps me make this newsletter better each week. Please feel free to contact me via Twitter, LinkedIn, Facebook, or email and let me know your thoughts, criticisms, and if you’d like to contribute to Off-by-none. P.S. If you liked this newsletter, please share with your friends and coworkers. I’d really appreciate it. Thanks!